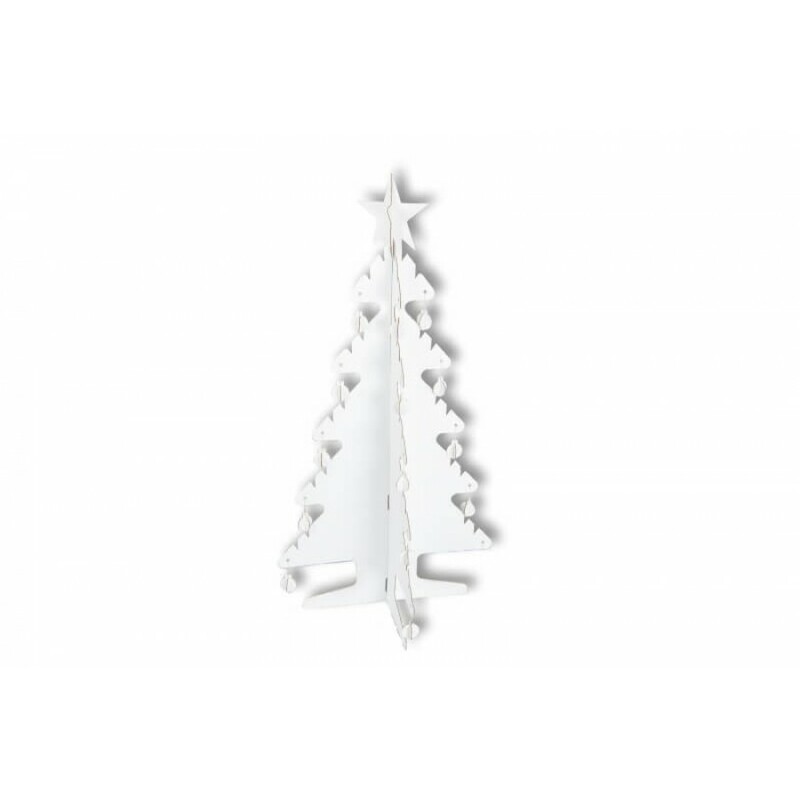 This kit consists of 44 die-cut corrugated cardboard components that easily fasten together, without fixings or adhesives, to form the 3D Christmas Tree illustrated above. No tools or special skills are required for construction. Full assembly instructions are provided. Comes with storage box. 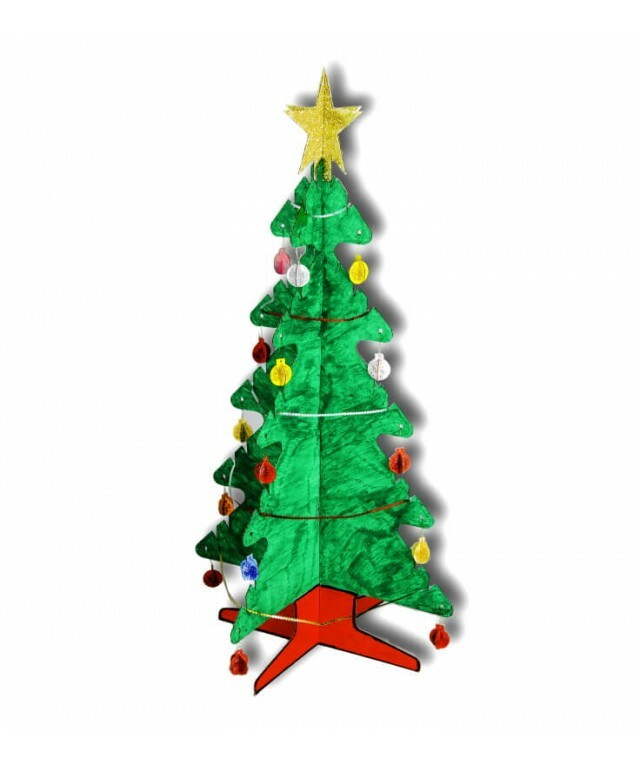 A blank canvas for creative fun, for painting and decorating, encourages roleplay, learning through fun, Monthly competitions. 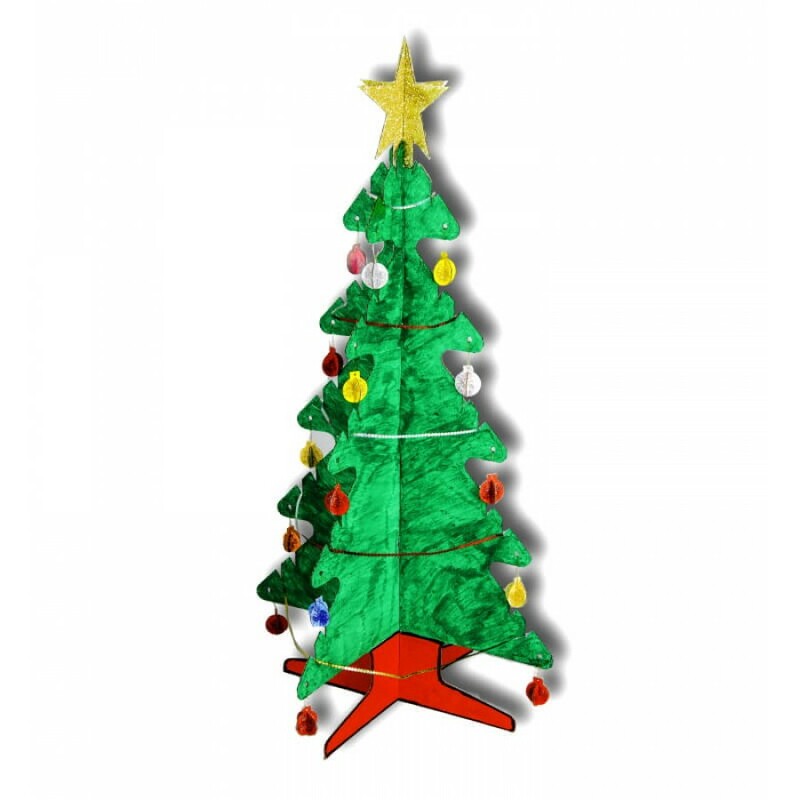 Assembled size (H x W x D)137 x 70 x 70 cm Each 3D Christmas Tree comes flatpacked in a wrap-style, sturdy corrugated cardboard box.